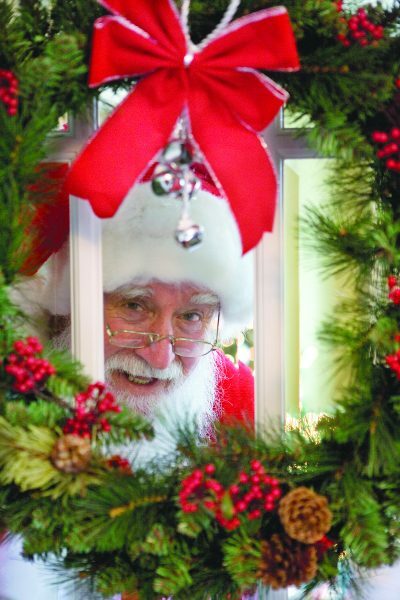 The Jolly Old Soul and Mrs. Claus will stop by the GFWC Ruskin Woman’s Club Dec. 15 for Pancakes with Santa, and all are invited to bring the kids for some genuine holiday fun. Santa Claus will be waiting to chat with your children and grandkids during Pancakes with Santa Dec. 15 at the GFWC Ruskin Woman’s Club. The event will include free photos with the Jolly Old Soul. The merrymaking will include all-you-can eat pancakes prepared by Neal and Tina Bostic, all kinds of toppings, hot cocoa and coffee. Kathy Evans, owner of Scattered Pics Photography, will be on hand to shoot free photos of the kids with Santa and Mrs. Claus (aka Larry and Carol Berman). There will also be a candy station, free gifts and Christmas-themed crafting for children of all ages; caroling or entertainment by Angelica Brevard, of Riverview and students from Lennard High School; a raffle for the chance to win a variety of themed gift baskets or club seats for a Tampa Bay Lightning game, free parking and all-you-can-eat food and drink. One set of club seats will be raffled off at each seating, the first from 8 to 9:30 a.m., the second from 10 to 11:30 a.m. Tickets are $1 each or $20 for an arm’s length for the baskets and $5 apiece for the Lightning seats. An RSVP is required for each of the two seatings, the first from 8 to 9:30 a.m. and the second from 10 to 11:30 a.m. Admission is $15 for a parent and one child and $5 for each additional child. Children must be accompanied by an adult. The idea for Pancakes with Santa came from a club member who brought the idea with her from another woman’s club in New Tampa. “My mother thought this would be a great event for us,” said committee chairwoman Cheryl DeLeon, vice president of the Ruskin Woman’s Club. “I ran it by the board and they were all gung-ho and very excited. With all the new families moving into the area, the need for more scholarships will definitely grow, and we’d like to be able to award more of them. 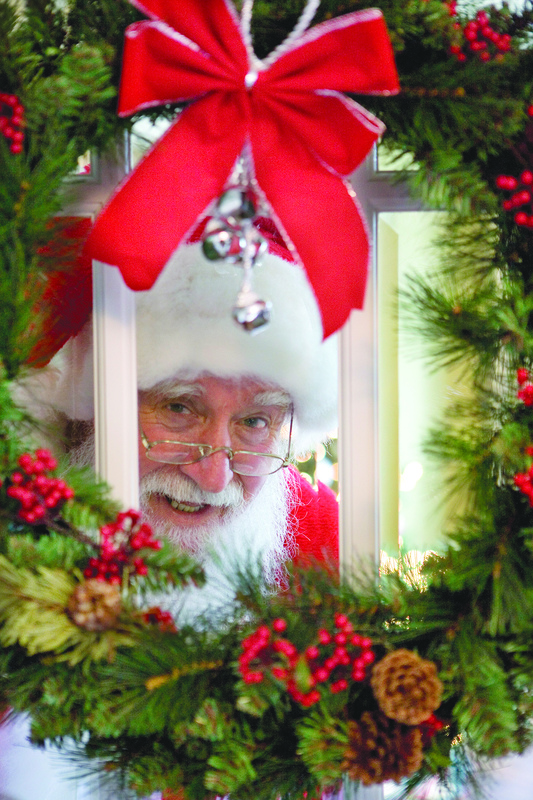 Pancakes with Santa will take place at the GFWC Ruskin Woman’s Club historic clubhouse, 503 U.S. 41 S., Ruskin. Its halls will be fully decked in the bright colors of Christmas for the event. The inaugural Pancakes with Santa is a fundraiser for the Ruskin Woman’s Club Scholarship Fund, which helps graduating seniors at East Bay and Lennard high schools go to college. It is being held in addition to the club’s regular annual fundraisers: The Bling Shopping Extravaganza in October, Christmas Tea in December, a tea or trunk sale in the spring and the sale of its homemade pickles, jams and jellies. This year, $11,000 in scholarships were awarded. Interested in going? Call now to reserve your seats. There are only 50 available per seating, so call D&L Insurance at 813-641-8331. 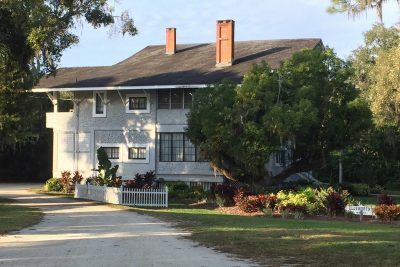 The event will take place at the GFWC Ruskin Woman’s Club historic clubhouse, 503 U.S. 41 S., Ruskin. Its halls will be fully decked in the bright colors of Christmas. For information on the club, visit www.gfwcruskinwomansclub.org. WHERE: The Ruskin Woman’s Club historic clubhouse, 503 U.S. 41 S., Ruskin. WHEN: Dec. 15, either 8 to 9:30 a.m. or 10 to 11:30 a.m. COST: $15 for a parent and one child; $5 for each additional child. Children must be accompanied by an adult. RSVP: Call D&L Insurance at 813-641-8331.